It’s Friday again. That day at Champagne Cartel where we sit back and appreciate the great work of others during the week. We hope you enjoy this week’s selection – we sure did. I’m always on the hunt for delicious sugar-free desserts that use actual fruit. Check out this excellent baked banana custard. I haven’t made it yet but I’m sure gonna. The great Fat Mum Slim explains how to achieve those cool depth of field effects in your photos. I’m so excited about this – you’ll probably be seeing loads of strangely focused photos on CC next week. The lovely ladies over at Honey, You Baked are turning school lunches into gorgeous but totally achievable works of art. 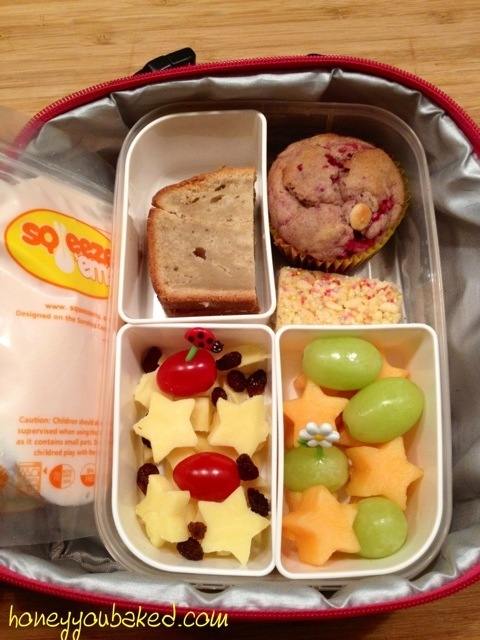 As the mother of a child who is about to turn into a Vegemite sandwich, I am set to go bento shopping! I wish someone would make me lunch that looks like this. Oh wait, I’m the mum now. Damn. Sick of little girls dressed like fairy princesses? You’re going to love the photos this mum has done of her daughter dressed as inspirational women from history. Very cool. Dirty little bugs be gone!